Were you able to guess the year today’s vintage transit photo was taken? 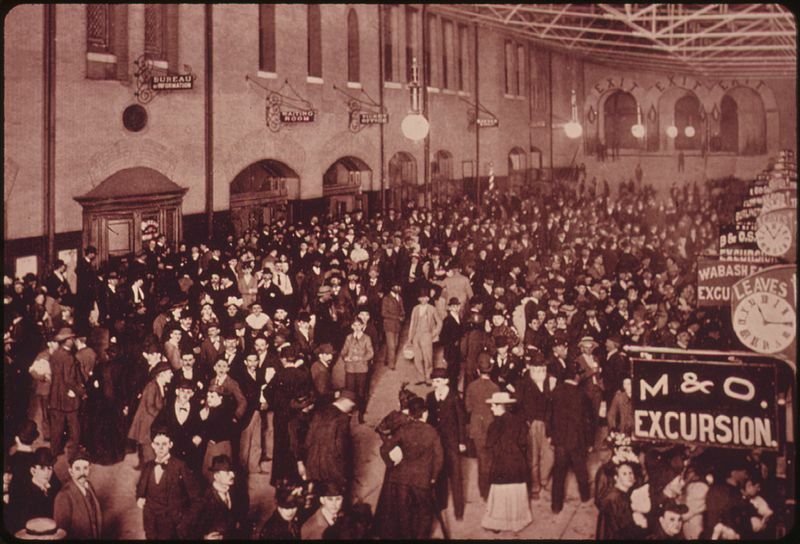 Pictured are Union Station passengers jamming the interior of the station, which opened on September 1, 1894. At this time, Union Station was owned by the Terminal Railroad Association of St. Louis.